Trust me, you do NOT want to see the price tag of this baby. 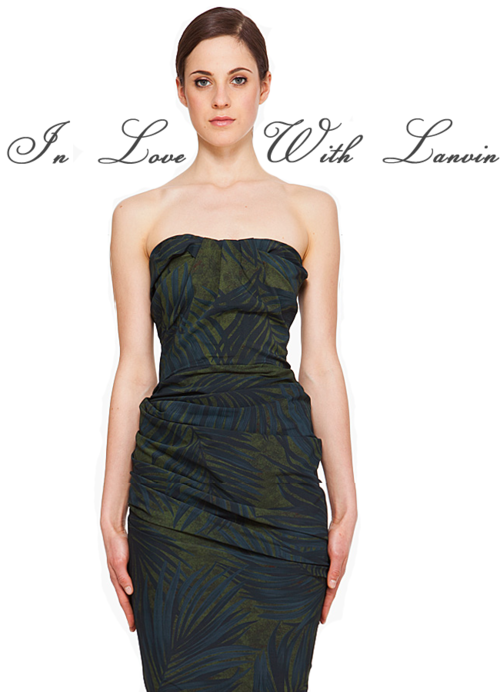 I love Lanvin’s use of pattern, color and such a beautiful silhouette on this strapless leaf print dress. Be sure to click on the picture to check out the killer zipper in the back.